As readers of this blog know I was sadden to hear of Ms. McCaffrey’s death in November. 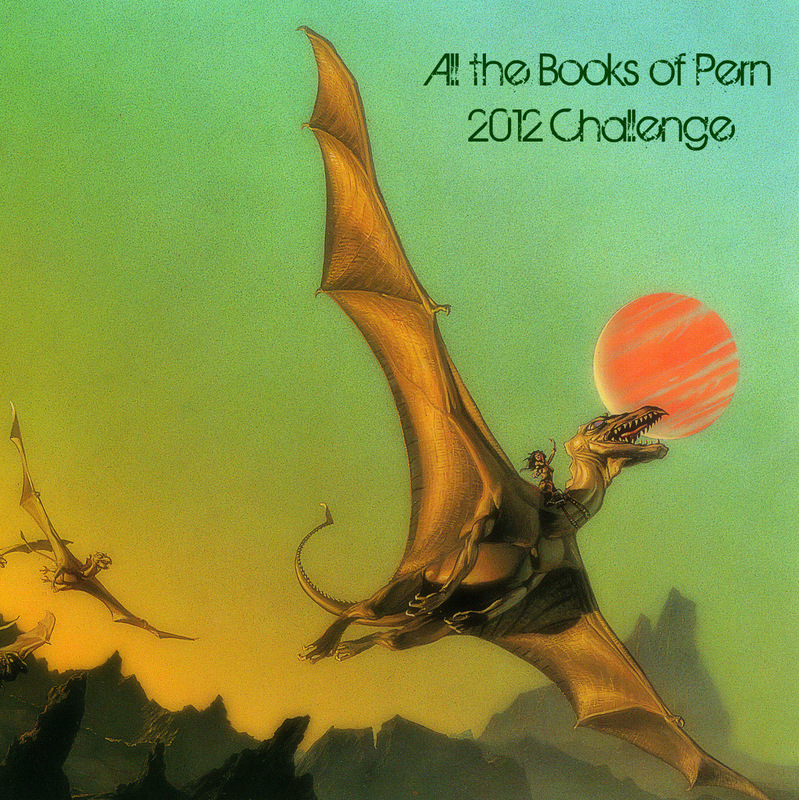 As a tribute of sorts, beginning January 1, 2012, I am going to challenge myself to read all the Dragonriders of Pern series in a year. Please join me. Runs January 1, 2012 to December 31, 2012, join in anytime. You can join anytime but only count Pern books you have read this year. Books can be any format. Crossovers with other challenges are allowed. Track progress here, on your blog, on goodreads or LibraryThing. Anywhere really just let me know where you are posting. When you sign up remember your level of participation can go up but it can’t go down. We’ll be keeping track of progress and prizes, etc. on this page. Sign up using Mr Linky at the end of the post. If you want to go above and beyond I know there are some short stories out there that I have not listed. Find them, cite them, email me about them and we can have mini-challenges. There will be prizes. They will be announced every three months. The first one will be a copy of Dragonholder: The Life and Dreams (so Far) of Anne McCaffrey, written by her son and published in 1999. There will be a giveaway page posted March 15, 2012 and the winner will be announced March 31. Updates and thoughtful comments will be critical in winning. More details will be on the contest page. I will be reviewing all of the books I read and asking for feedback about what others think. Pick your level and let’s fly. Because Ms. McCaffrey’s preferred reading is the order of publication NOT historically chronological, that is what I suggest for you as well. I don’t know if I’ll officially sign up or not, because I’m trying not to pressure myself over my reading. But I decided to do an Anne McCaffrey read of my own after she died. My plan is to read the books she wrote on her own, in publication order, but to take as long to do it as I need to do. So I’d very much like to stay in touch with your challenge as I pursue my own, even if they’re a little different. Hope you will come back and add to the conversation. I signed up and am committing to the first 3 books, but I’m hoping to complete the Harper Hall trilogy as well. I haven’t read any of these in years, so this will be fun. Welcome! I am starting the first three this week. I am aiming for 2 a month. Welcome. I am starting my reread of the first 3 this week. I hope to get to Gold in a year. Good luck.